Are You at Risk for Black Toenails? The men and women in the Plano Pacers running club are gearing up for their charity 5K run taking place at Bob WoodRuff Park on Saturday, July 25. This club is comprised of over 700 dedicated members who are committed to a healthy lifestyle through running. 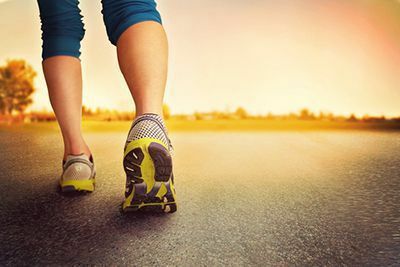 If you are training for a 5K, you do not have to log as many miles as you do preparing for a marathon. Even so, it is a good idea to know the causes of black toenails to make sure you don’t fall victim to them. Repeated trauma from athletic activities or running. The reason we mention runners when we talk about this topic is the fact that repeatedly hitting the inside front of running shoes with your toes can lead to the development of black toenails as the soft tissue under the nails bruises. Tight or ill-fitting footwear. Closely related is the fact that shoes that do not fit well can put any runner at risk for these dark spots on nails. Additionally, wearing footwear that is not correct for your foot size can lead to a host of other issues as well. Fungal infection. Keep your feet as dry as possible to avoid toenail fungus, which can certainly discolor toenails. To avoid this condition, try to stick with socks that wick away moisture and shoes that let your feet breathe and stay dry. Those are especially valuable tips for runners. Trauma or injury to the affected to the affected toe or nail. Dropping something heavy on your foot, or stubbing a toe particularly hard, can lead to a blackened toenail. We hope that understanding the causes and risk factors for black toenails will enable you to keep the condition from happening to you. If you find that your nails still become dark, or if you have an existing case, don’t hesitate to contact our practice for diagnosis and treatment. Dallas Podiatry Works strives to provide residents of the greater Dallas and Plano, TX communities with the first-class foot care you need. Call us today toll-free at (888) 943-3323 or schedule your appointment at either of our offices online.